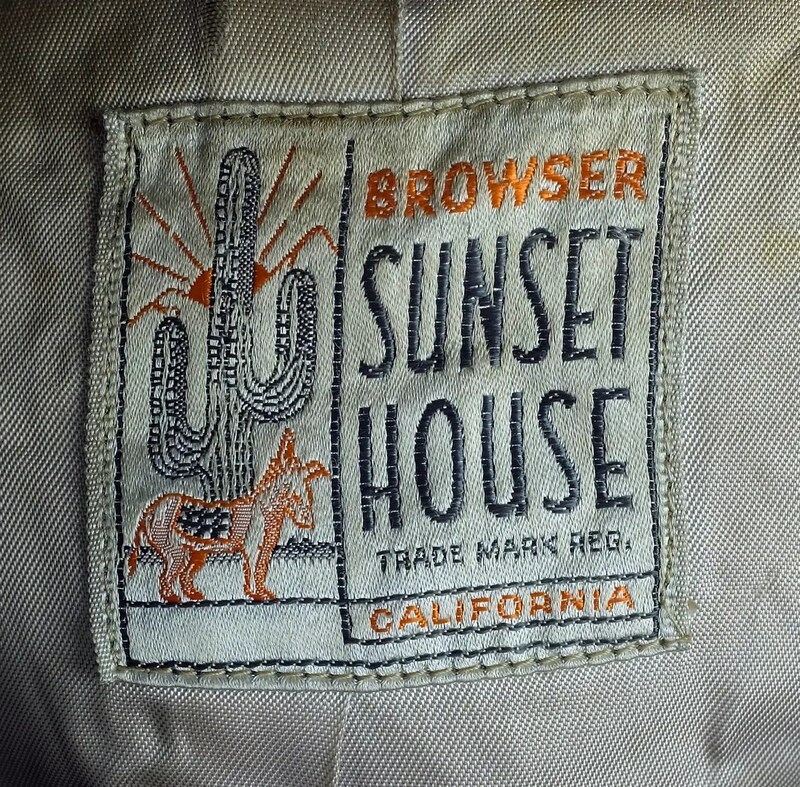 This vintage jacket, named the “Browser”, was made in the late 1950s-early 1960s by Sunset House. 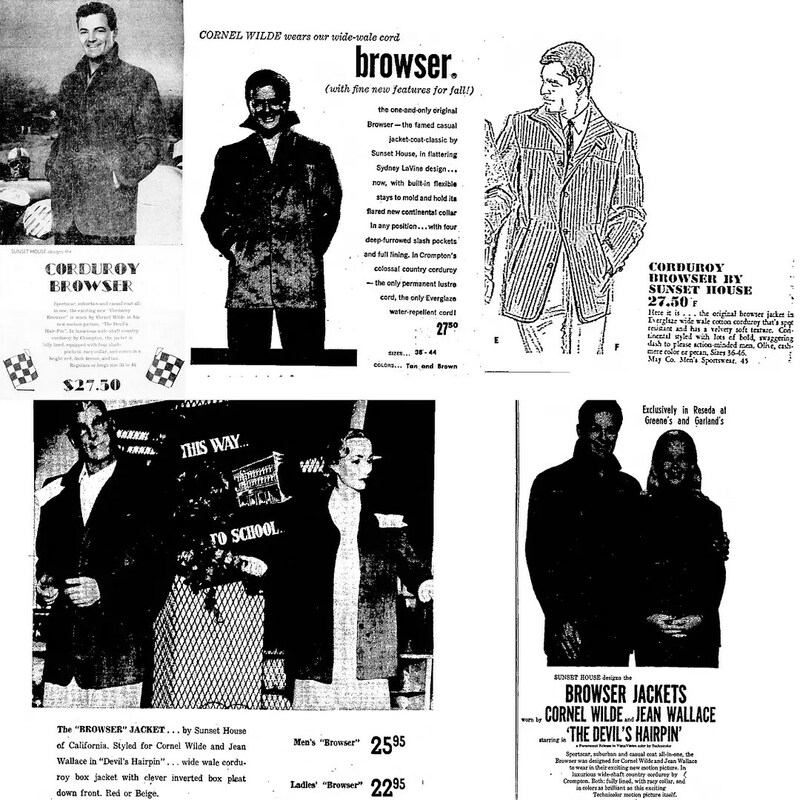 It was introduced in 1957 and produced through to about 1964, with a pattern change, introducing collar stays among a few other things, around 1962. 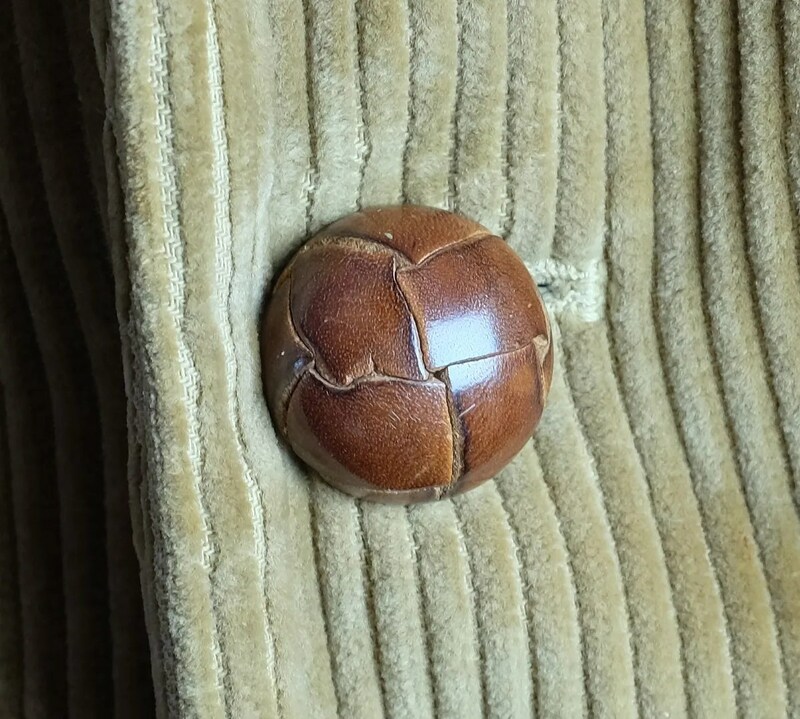 The earliest versions were offered in red and beige, with the darker brown introduced around 1958. This places the date of manufacture of this particular one between c.1958 and c.1962. 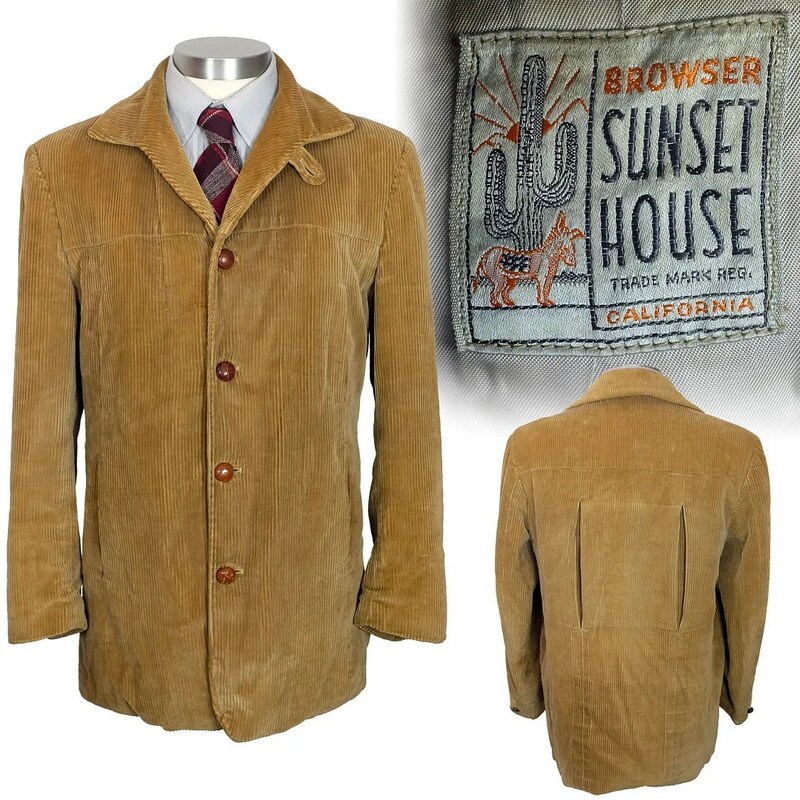 This jacket was advertised by Sunset House with several different label variants, the most common endorsed by Cornel Wilde for the men’s version and endorsed by Jean Wallace on the ladies version, with the less common version bearing no endorsement. 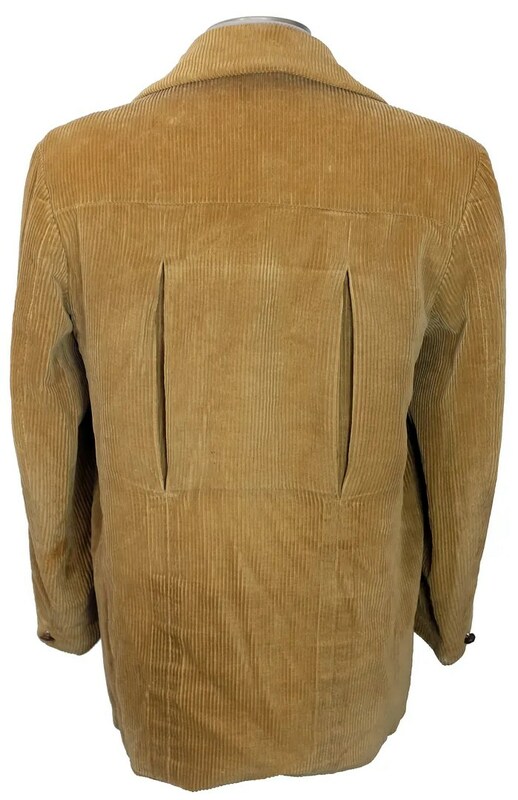 Elvis favored these corduroy Browser jackets, owning them in all the colors they were produced in, and wearing different colored jackets of the same model on the album cover of “Elvis is Back!” and in the film King Creole. 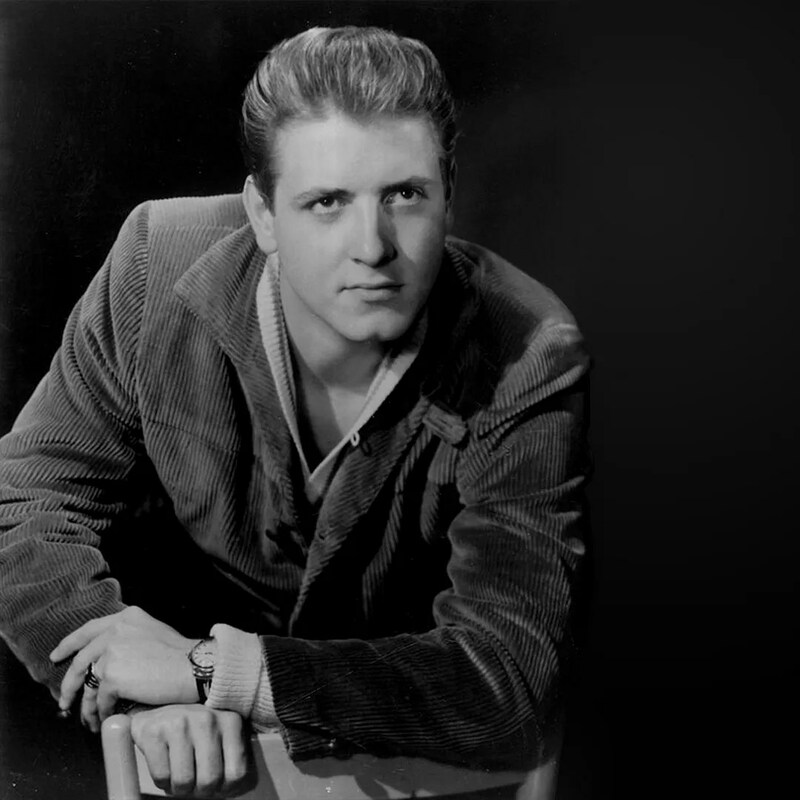 This style was also worn by Eddie Cochran. 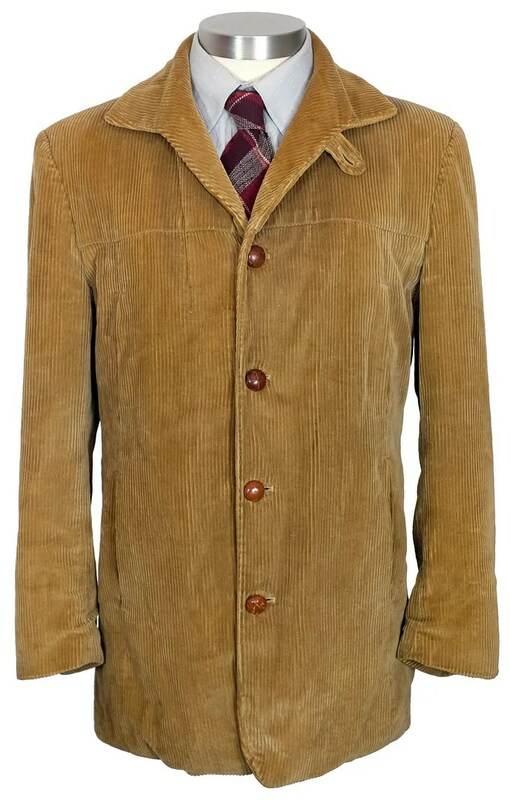 The jacket has a double pleated back, and four pockets on the front, the openings of which mirror the back pleats. 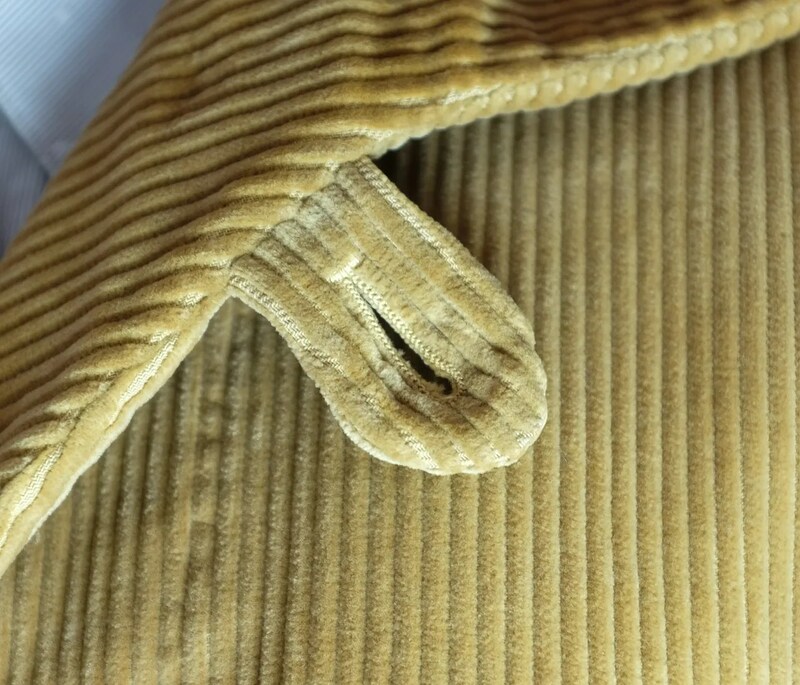 It has a soft roll collar with a tab closure. It is fully lined. 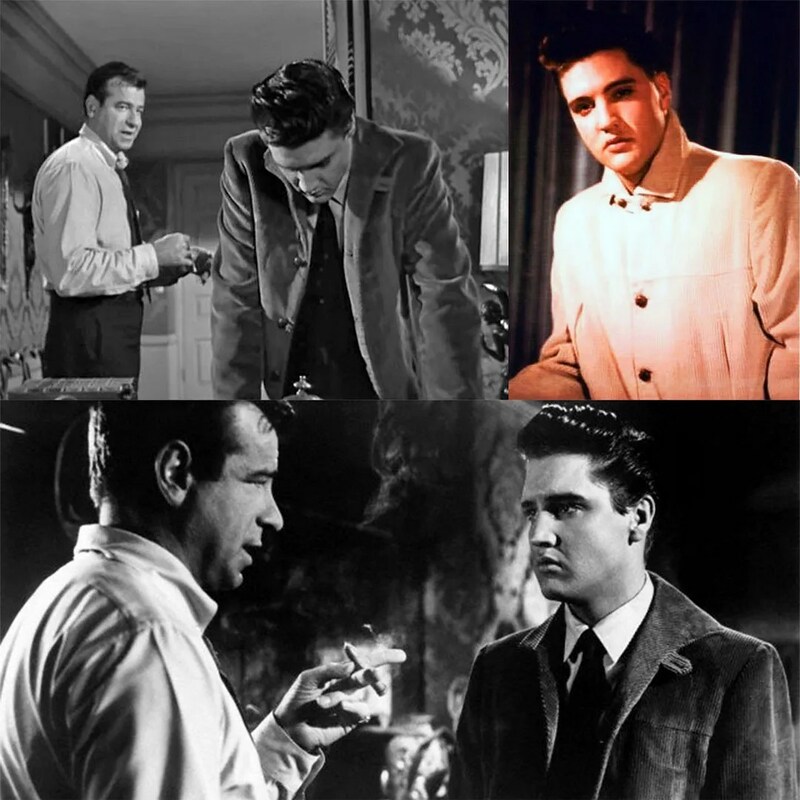 This entry was posted in Jackets and tagged 1950s, Browser, corduroy, Cornel Wilde, Eddie Cochran, elvis, jacket, Jean Wallace, King Creole, Sunset House, vintage by Spencer Stewart. Bookmark the permalink.